Giving out a ring is a way to show the importance you attached to an engagement. If you are looking for beautiful square rings, welcome aboard and let’s make this easy for you. In this post, we’re intentionally limiting your budget to less than $100. These days you see so many pictures on Instagram and those engagement pictures are beautiful enough to make you blush. Many people, especially the ladies, will definitely not ignore the look of the ring in the picture since they can vibe with it too. But before you go ahead and buy something similar, we think you should wait till you see what we found. 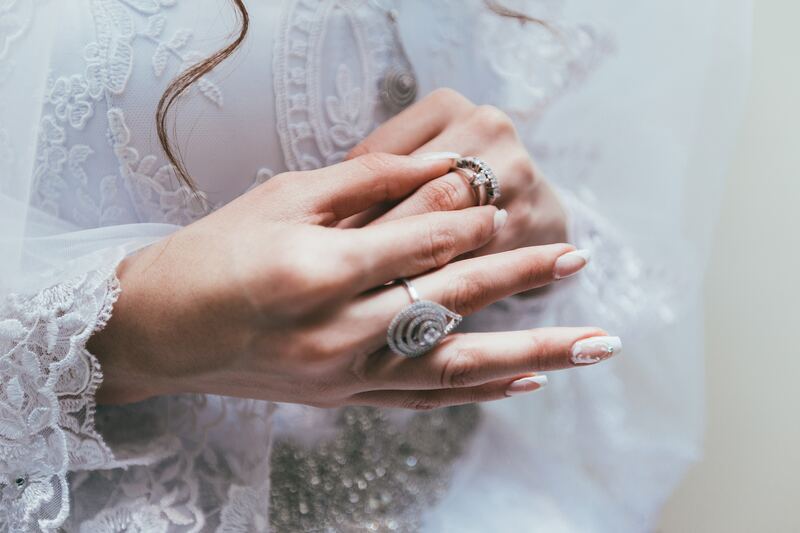 We chose only the best engagement rings for you. There’s naturally a need with women to only choose the best, but at the same time, the issue of budget comes to play. So the more you think about it, the more it gets complicated and confusing. You are not sure which of the options you should pick because there are just too many available online. In the same way, the price tags you’ll find online may either be too low or a bit too expensive. To that, we’ll be limiting all of your focus to just ten engagement rings. They have what we consider reasonable prices, which naturally comes with the usual good looks (important for engagements) and the durability to see you till your wedding day. Except, if you’re shopping for someone else—which just happens to be the love of your life. Cute. This ring is a good symbol of an engagement that is well-planned. Why say this you might ask. Our reason is actually simple. When you choose this, it shows you took your time and you have an eye for jewelry that’ll make the ‘butterflies’ flutter again. In other words, you made an impressive choice. 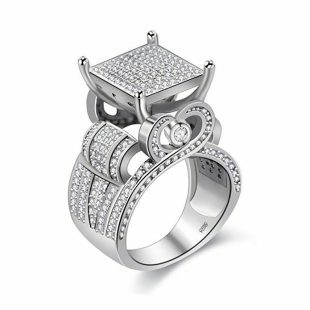 The ring is made of 0.8 carats prong and a princess cut stone surrounded by 42 pieces of white CZ. 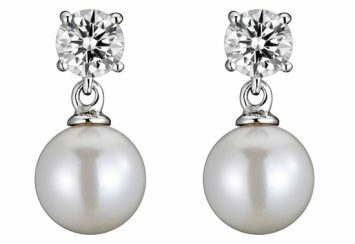 The beauty here is in the high-quality handpicked Cubic Zirconia stones. After that, the Sterling silver shines just underneath all of them. That point made, the highlight here is the combination of the 2. They form one of the most comfortable, durable, and beautiful rings that you can ever wear. If you’re here shopping for your partner, we think this is perfect. The only drawback is if she doesn’t like flashy things. In that case, you should check out others on the list. Nevertheless, on the chance that she’s the type who loves such accessories, we have more good news. The first being safety. 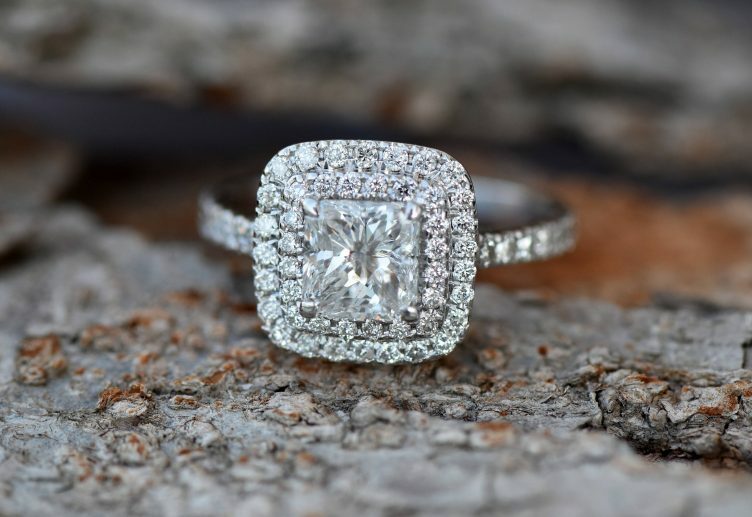 As an engagement piece, it’ll obviously be on her finger for a while, so not having to worry about any allergy or irritation is one of the ring’s best features. Following that, the ring comes in a pretty box, which certainly fits the tone. So when you’re going down on your knees to make the most iconic proposal in human history, it’s a straightforward process. No need to run after a box, since it even comes in one. When you are choosing a square engagement ring, you have your peculiar reasons. It is either she loves rings with a square design or you want something different to the norm. This ring by Allyanna Gift even gives more reasons to love square rings. First, in the order of things, this engagement ring comes in a free gift box that makes the entire process all the sweeter. Inside, you’ll find a beautiful band created from Sterling silver. This means the ring comes with the usual durability and fine looks. Both features make up the formula that’ll impress your partner. But if that doesn’t work, there’s a large CZ stone set into the heart of the ring. That, in itself, carries a meaning that fits the tone and thus, is part of the good news. Obviously, like every other option on the list, there is an aura around this one also. We didn’t mention it with the others since they didn’t meet the requirements, but with this one, even our scale is slightly messed up. Newshe takes the idea of mixing stones with rings to the next level. Their idea of an engagement ring is to mix CZ stones of varying colors and sizes together to create one of the most stunning rings we’ve ever seen. For one, you’ll find a big CZ diamond at the center. And around its edges, there are smaller stones arranged to form the familiar square you’re looking for. Now, that’s not the best part. Our favorite part in all of this is the fact that the stones that form the square are only 16. 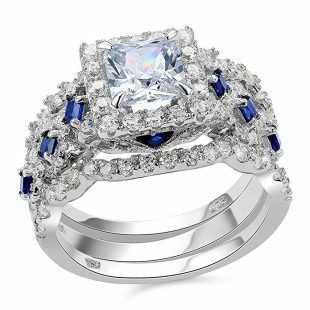 There are 76 others that are set along both of the ring’s sides and then another 8 (sapphires this time) complementing the white stones. In its entirety, the ring is Instagram-worthy. So when you wear this ring around, that special vibe that we mentioned follow along. After that, the looks come for you (or her). This makes the piece a worthy choice especially considering our promise of a quality engagement ring that will not break the bank. The things that make this particular ring attractive are the square head and the stones that decorate the sides. But unlike the one above, on each side, the stones are arranged downward in three roles of rings. So what is so unique about three numbers? The answer to that is staring at you, it is beauty, gleam, and brilliance (those are another three words). The ring is made of three lines of 925 sterling silver rings, expertly combined to bedeck your hands with that vibe of elegance. The Sterling silver make brings alongside it toughness to last till D-DAY. Similarly, it comes in a box that makes things extremely easy for you. It is normal to make a promise of commitment with a ring; to tell your woman (a bit of possessive tone is necessary) you will always have them in mind and you’ll also have their back for eternity. All of this with a unique gift that sits on one of her fingers. It’s because of this definition that we chose the vintage styled ring from LaRaso & Co. This is a beautiful choice—No doubt since it’s not your run-of-the-mill type of ring. What we mean is that like the ones above, it carries a unique design that’s one of a kind. Just like your significant other, so it’s a perfect match. 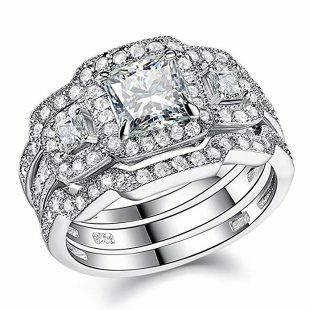 For example, the jewelry has a white high-quality Cubic Zirconia stone sitting at the top of a Sterling silver band. In addition, the silver is plated with rhodium and then along the sides, there are tiny CZ stones sitting. It definitely looks like an heirloom, but the beauty says positive things about your engagement and even the relationship between you guys. Anything with that kind of definition deserves to be used. So if you’re choosing this particular piece, congratulations are in order. Albeit, just after you’ve proposed to her. 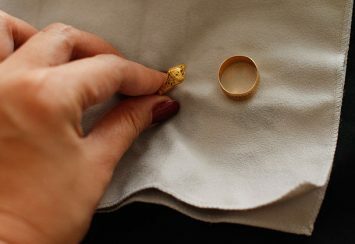 Luckily enough, there’s a free gift box, (velvet engagement ring box) which the ring arrives in—that smoothens the entire process. Do you guy love purple? Do you also like to see black in a ring? If you don’t, this design, which blends the two colors, will make you rethink what you love about such mixtures. This engagement bridal set is beautiful and black-gold-filled. There are two matching rings in the set for both you and your partner and each is a perfect example of what beauty means. They both have highly polished surfaces that are coated with black painting. 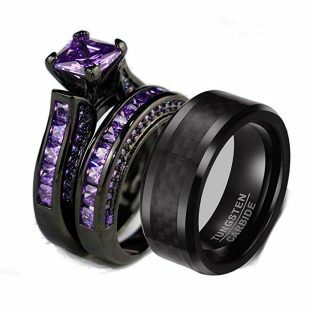 Under that layer of color lies tungsten carbide with a carbon-like material running directly through the middle. This acts as the stage for the purple CZ stones that are embedded along the circumference of the band. In terms of looks alone, you’re covered since the pair is unique due to the maker’s choice in colors. It’s certainly a fun way of doing things seeing as the usual tradition can get boring if you’ve gone through it before. Having said that, tungsten carbide, despite its somewhat subdued popularity when compared to either gold or silver, is a lot stronger than both. So both of you are covered well, till and after the wedding. While the entire thing looks like it’s made up of 3 separate rings, it’s actually a single one that’s been mostly covered with stones (square and circular-shaped ones). To that last part, the ring has a square stone on each side to add to the symmetrical look it easily pulls off. Following that, the biggest stone on the ring lies at the top, and it’s the real highlight since it makes the shape. 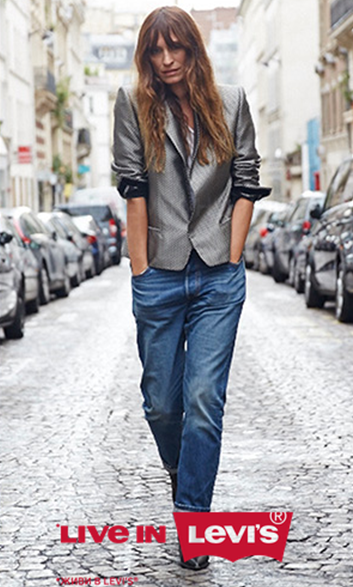 Combined, everything will either turn your partner off or she’ll instantly fall in love with the look it produces. If it’s the former that she agrees with and you want to change her mind, tell her this. 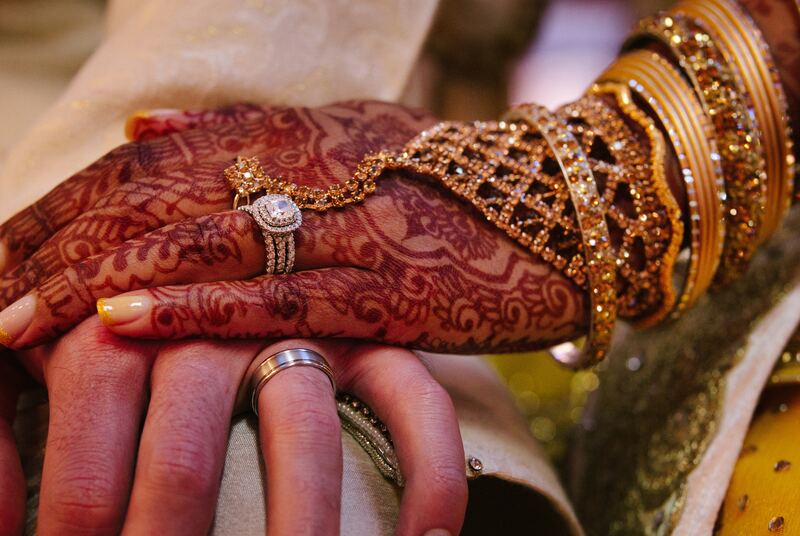 The division of any piece of jewelry easily carries a lot of significance. And in this case, particularly, the 3 stand for a Holy Trinity. That can mean love, devotion/commitment, and romance. You can, of course, add any other definition to it, but for the occasion, we think this is perfect. We doubt there’s any woman that wouldn’t love such attention and definitions. Especially from the man that she loves. 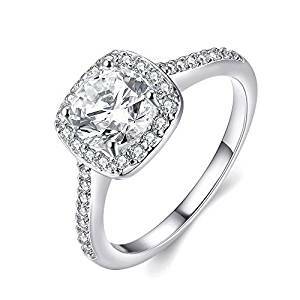 This is not a totally square-shaped ring due to the slight curvature along the edges, but then it can rival best on the list in terms of beauty and affordability. For the former, the simple design takes and eats the cake while the latter wins points for being under $10. This doesn’t mean the ring will not come with the usual goodies. 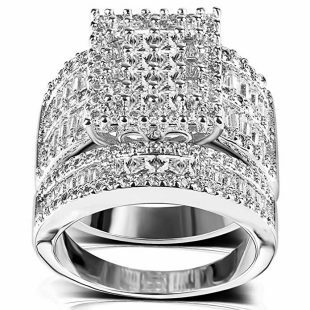 In fact, the crystals set in the center of the ring and along its sides are Cubic Zirconia stones. Just under that weight, you’ll find the brass band plated with silver to give a hue that’s almost platinum in color. That said, both the stones and metal (down to the plating) are tough. In the last few weeks that we used the ring, we can say the ring did a rather good job. No discoloration nor allergic reaction which are 2 things we always try to avoid. All of these features/advantages form one of the best pieces you can use. Especially as the ring will do its job to show the world that your partner is fully taken till the wedding. After the special day, the ring goes to the third finger on your left hand. This bridal set is what you get when you are on a mission to get the best rings on Amazon. It costs almost the hundred dollars we’ve budgeted but let’s take a look at what you’ve got here. With the Hiyong ring, there are a lot of pure stones, left, right, and center. And they all produce enough sparkle that a single glance from your partner will have her falling in love with the entire design. Or maybe not—as she might prefer something subdued. It’s a point we agree with since there are up to 152 stones (square and round-shaped) on the pair of rings. But for the occasion, we think it’s more than good enough, though it’ll most likely become a dress ring after the wedding. Continuing, the pieces of white CZ stones found on the rings are durable and extremely beautiful due to their innate characteristics. We love the first part since we want you to use it after the wedding while the latter is useful for flaunting, which all women do. Like all the options we’ve mentioned on the list so far, this one is special too. And this comes from the fact. The main stone at the top numbers in the 266 pieces count of high-quality Cubic Zirconia stones. 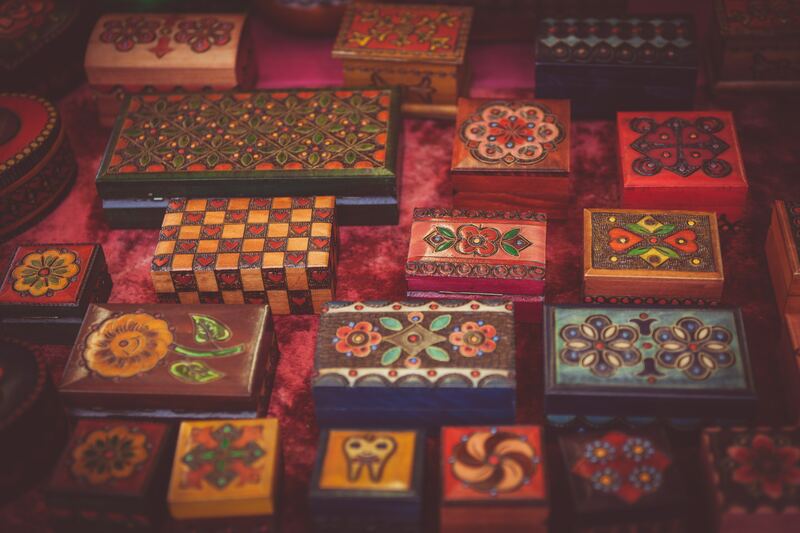 They are clustered to form the square shape which is also the main topic. At each side, 2 pieces of 3mm CZ stones are set at the center of the 2 heart shapes. The maker has the perfect message for the wearer, which we think you should extend to your partner. 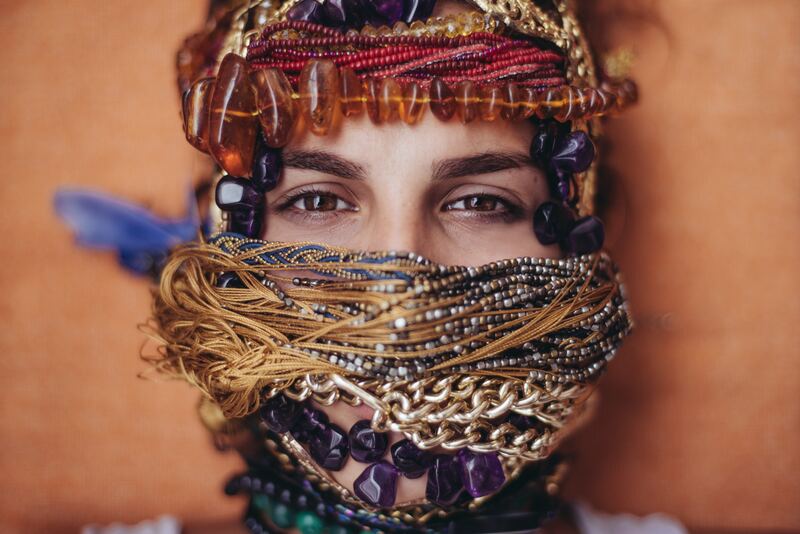 It goes like this: Wearing ordinary jewelry, people remember that jewelry. But Wearing something elegant, naturally, people will remember the woman who wears it more. If you take a good look at it again, you will notice that this quote was the driving force behind its design. 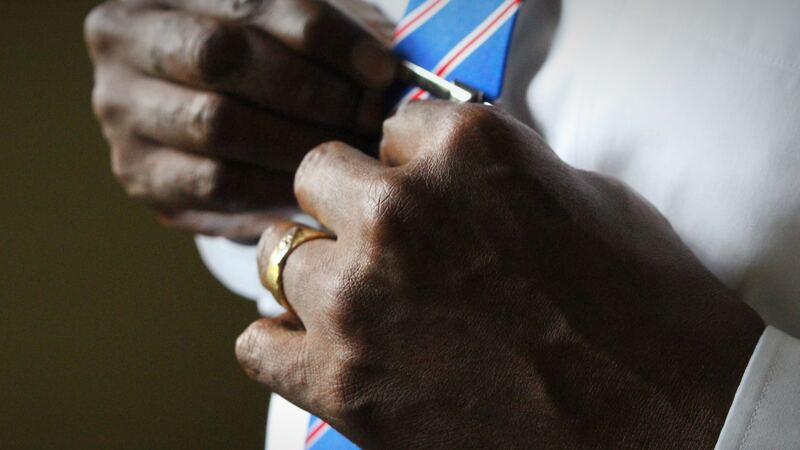 Nonetheless, with the number of good looks you’ll find with this ring, is it really durable? Especially since it’s even at the bottom of our list. Our reply to that is a solid yes, as we’ve made sure that both the looks and affordability will not subtract from the ring’s quality. It’s going to carry a deep message and the ring quitting after you’ve given it to your partner is definitely not flattering. Why wear a square engagement ring? The simple answer here is personal preference. While some ladies will readily wear something with a bit more curve to its stones (round or oval-shaped), there are others who love the edges at the top to be sharp. Your job here is not to meet that requirement. It’s to beat it by a landslide to ensure that they’ll fully appreciate the engagement ring. 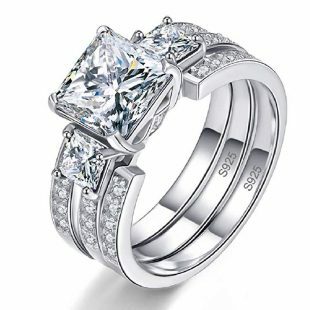 What is the difference between square shape and princess cut? They are very similar. 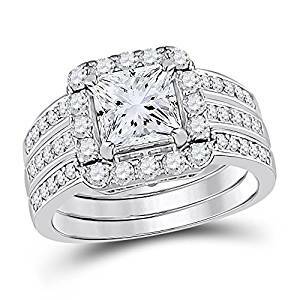 If you are buying a square-shaped ring, you will find some that are princess cut. The only noticeable difference is the top. 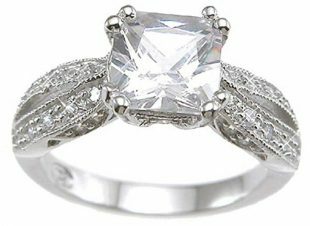 While the square engagement ring has a flat top and has sharp edges, the princess cut has a square shape too but the top is like an inverted pyramid. Definitely one of the better design elements that we’ve seen—which is why we picked some rings solely because of that. 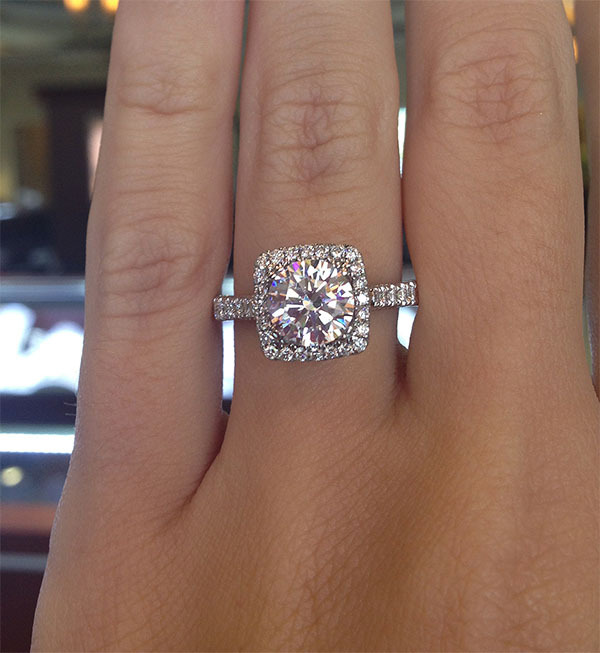 As a man, how do I choose the perfect engagement ring for my girlfriend? Because you love her so much, you want to make it perfect and memorable, therefore, you have to plan it out and these steps will certainly help. This is the most important and you’ll notice that even we imposed some kind of limit on the price of the engagements we reviewed (you can increase yours to $200 if you want). The reason why we say you do this is that the engagement ring isn’t the only jewelry nor accessory you’ll be spending money on. So set aside the amount you really want to spend on the whole process and from that, you can set research rings that fall under the budget that you’ve chosen. Our tip here is that your budget should be what you can afford. It should be an amount you can pay without batting an eyelash. Trust us on this, your partner won’t care about the price since the intentions will actually override a woman’s needs for jewelry. Use this piece of info to your advantage and save up if you can. There are activities coming up that’ll eat up some of the funds so take things slow and steady here. If you want a special ring within a $100 budget, then check the list again and make your choice. What you have been watching in Hollywood actually really works. When she’s least expecting a ring, you come up with it and slide it on her finger. Or that’s what most flicks show. Here, we advise you kick things up a notch. Don’t just go down on your knees, nor propose to her in public. Those things are clichés by now, so to really impress her, find something that she’ll never imagine you doing. Before you buy a ring, you should know her size and her style. If she has another ring in her box, you can take that one and use it to find her size as well as her style. After that, your next assignment is to find the ring with the right size and the right style that falls within your budget. Your aim here is to find what she would like and that would make your proposal the more remarkable. Again, this list will help you make a choice especially if she likes a square ring. There are various designs for engagement rings and you have to look carefully and make a choice. You will want to look at how the top of the ring is set since this is the most unique. The setting is important. It may look like this: under a shade, about ten candles bring a soft hue to the area, and the dark sky of the night creates a beautiful background with a romantic tone. Alternatively, it could be a special spot at a restaurant where the source of light fits the tone, and the physical attributes cement your mood. The point is that you need a background that would be memorable. It doesn’t have to cost you a lot. You can invite her for a simple walk, though you’ll be leading her to the perfect spot that you’ve set up. Do things in that particular setting that fit her interest. If she’s a lover of ice cream, prepare a bucket to eat as a celebratory treat. On another hand, if her taste in music is Blues, you can try going the extra mile by learning how to play her favorite song(s). But if there’s a lack of time, you can hire someone to play the tune for her while you propose. The key here is to adapt to her favorite things to do, and then use that to create the perfect proposal ground. And that is how you go about it. Make sure you express your heart. 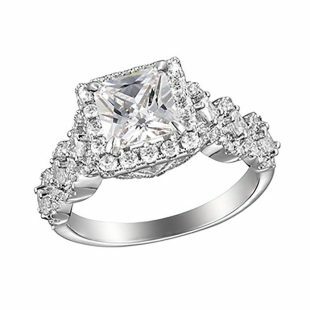 The square engagement ring is a choice to go for if you love a ring top that is clean and precise. The design has been around for a long time and it’s still around, albeit, with new doses of creativity to adapt to the different tastes available nowadays. If you are offering the ring as a gift, find out if the person will like it. Ask them in the case that they’re the type that dislikes surprises. On the other hand, if you want to make the entire thing a surprise, you can start by checking out their style in some other ways. For instance, take a look at what they have been using, what they admire when you go shopping, what they admire when they watch movies. Then, with a ready budget, either go through the list and make a choice or find something that suits her tastes specifically. Good luck! !